When a routine job lands a hit man face-to-face with a figure of his past, he is forced to make a choice. 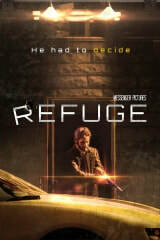 Refuge is a story of the redemption God gives to those looking for Him. ​I was the casting director.